Have you had a visit from Tetragonula carbonaria recently ? You would be very lucky but might not even notice them; they are black and look like a tiny, flying bugs, but are doing a very good job in your garden! 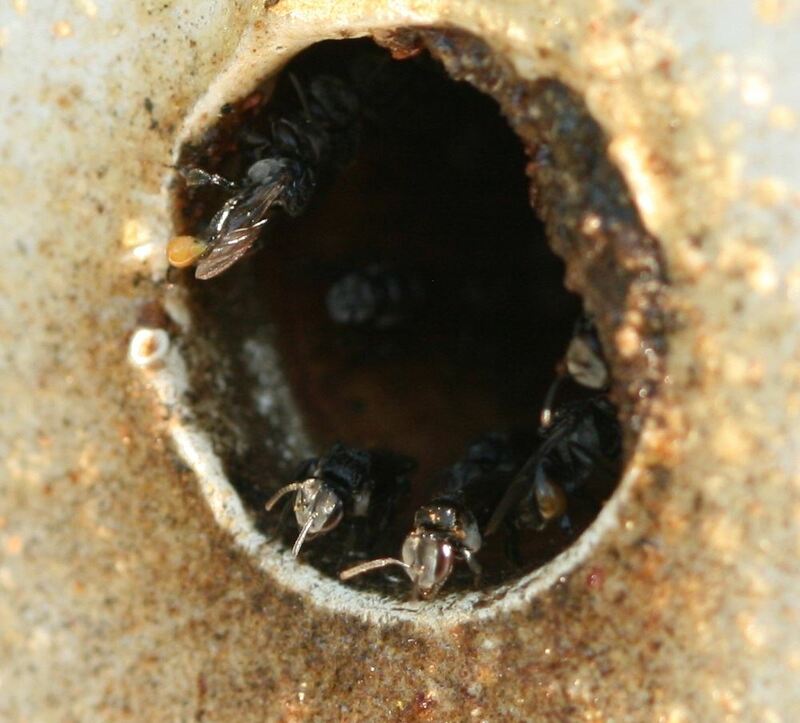 They are the Australian native stingless, sugarbag bees, one of very few native bees forming colonies, so they can be kept in beehives. Come to Margaret's garden in Denistone on this Sunday, at 2pm to watch the splitting of Margaret's hive. This is an event not to be missed and you are invited to see inside these amazing animals home. Bring with you a hat (will it still be this hot? ), a water bottle and something tasty to share. Margaret will have tea, coffee and herbal tea and a second home for the bees… there will be also fresh organic eggs for sale from her flock of 8 hens. I'm looking forward to seeing you on Sunday, but please send me a reply if you are coming.